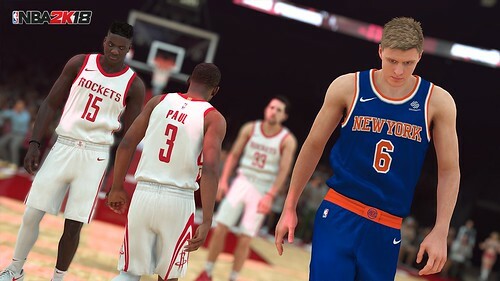 Continue on to read the patch notes courtesy 2K Sports. - Updated custom t-shirt kiosk coming! - Portland and San Antonio’s courts have been updated to properly match their real-world counterparts. - Lonzo Ball’s hairstyle has been updated to match his new look. - Fixed a bug where the number of timeouts left indication on the scorebug was resetting between quarters. - The correct amount of VC should now be displayed at the end of Ante-Up games. - Fixed a hang that could occur when finishing a MyTEAM game with Spanish commentary enabled. - MyPLAYER theme song will now play during the starting lineups when one is set. - Fixed an issue where players 96 overall or higher would hang when the opposing team quits out of an active Pro-Am Team Arena game. - When you lose a walk-on game, you will now be returned to the front of the walk-on building rather than at the starting spawn point in the Neighborhood. - Defensive settings panel for OTFC will now function for AI players in Pro-Am games. - Fixed an issue in MyGM/MyLEAGUE where a trade that sent Two-Way players to a team whose roster is full can result in one or more of those players disappearing from the league.